I met him at a Minor League game at Dunedin Stadium at Grant Field in Dunedin, Florida in 1995, when the Brevard County Manatees came to play the Dunedin Blue Jays. I remember being inside the stadium before the gates were opened. As I'm wandering around, I see Bryan in full uniform at a pay phone. I kept my distance and waited for him to finish his phone call before approaching him. 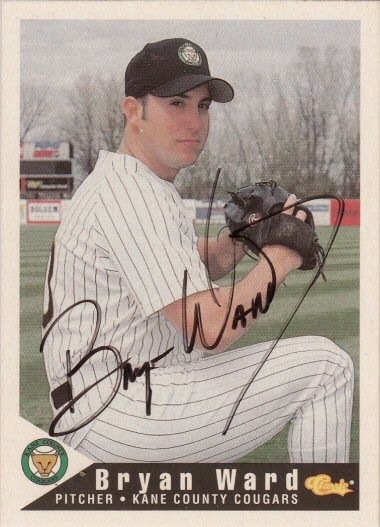 Bryan signed a 1994 Classic Kane County Cougars Team Set card #26.